Are your Kids obsessed with Dinosaurs? 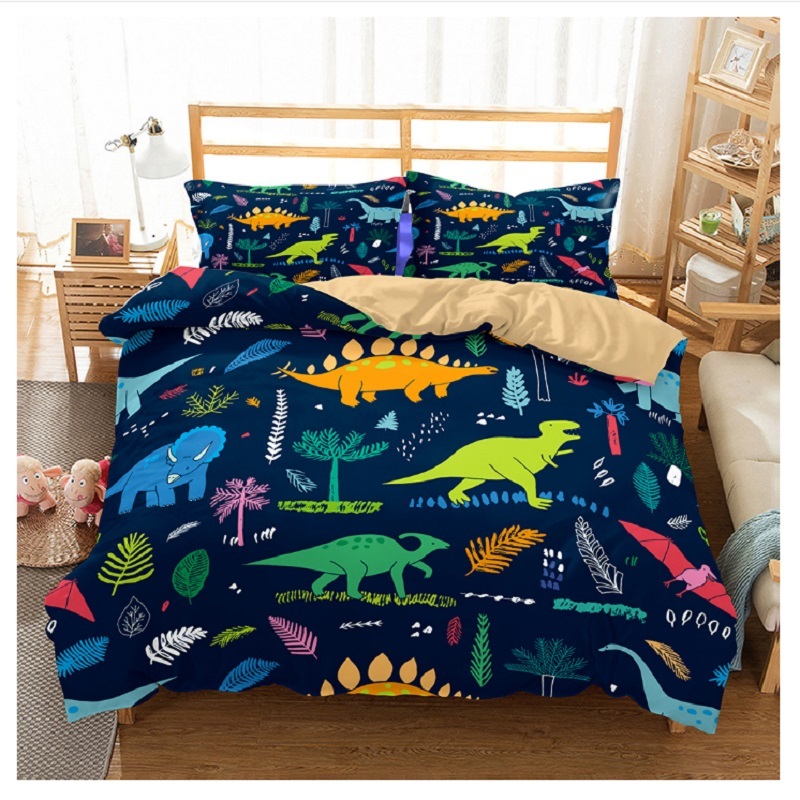 Then they will Love this Amazing Dino Bedding Set! Almost every child goes through a 'dinosaur phase', where they eat, sleep and breath dinosaurs. 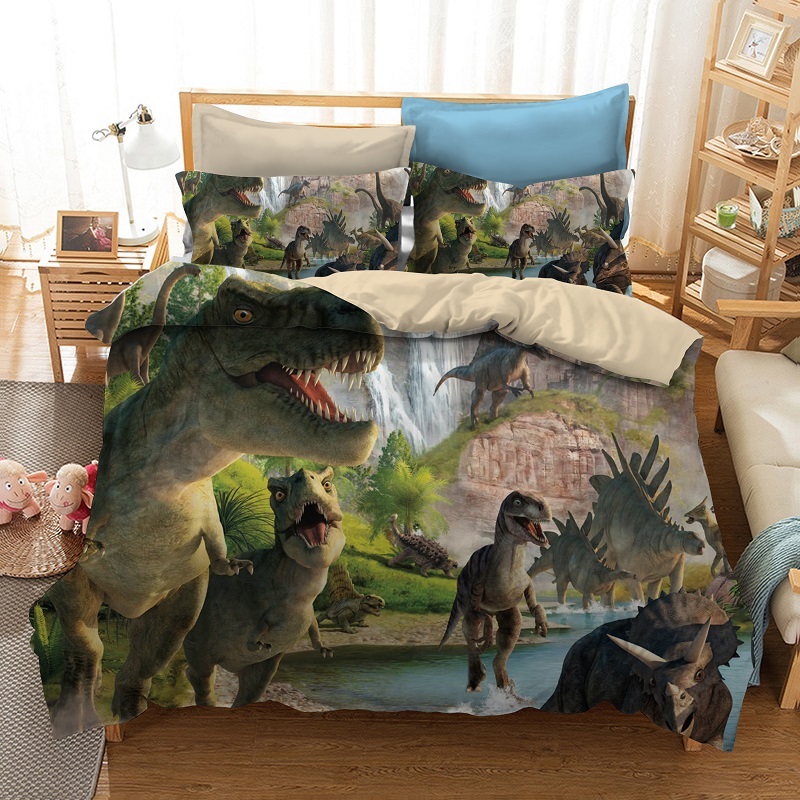 If that sounds familiar, then a Tyrannosaurus might be just what your child needs, a T-Rex bedding set of course. Dinosaurs that once roamed the earth, may be about to take over your child's room. 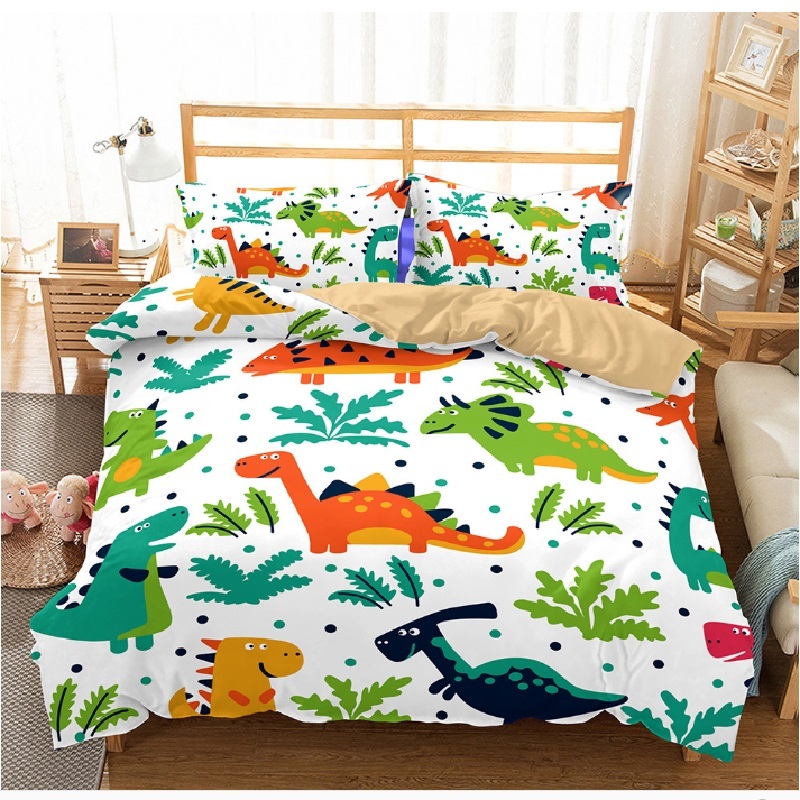 Please note that this is a "duvet cover", a beautiful dinosaur themed cover that slips over a comforter of your choice. It is not, itself, a full comforter.